I buy a lot of things in bulk and often have trouble putting the contents into bottles. 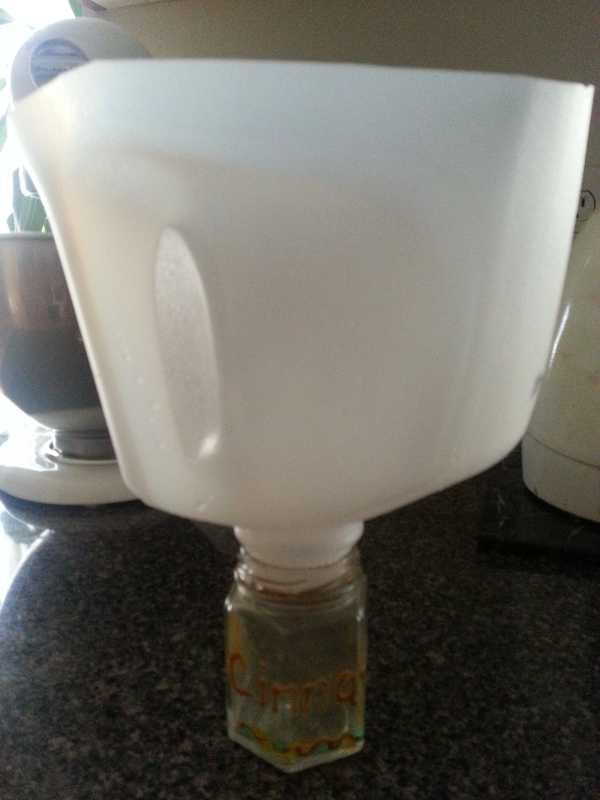 This recycled milk funnel is fantastic and has saved me from a lot of wastage. 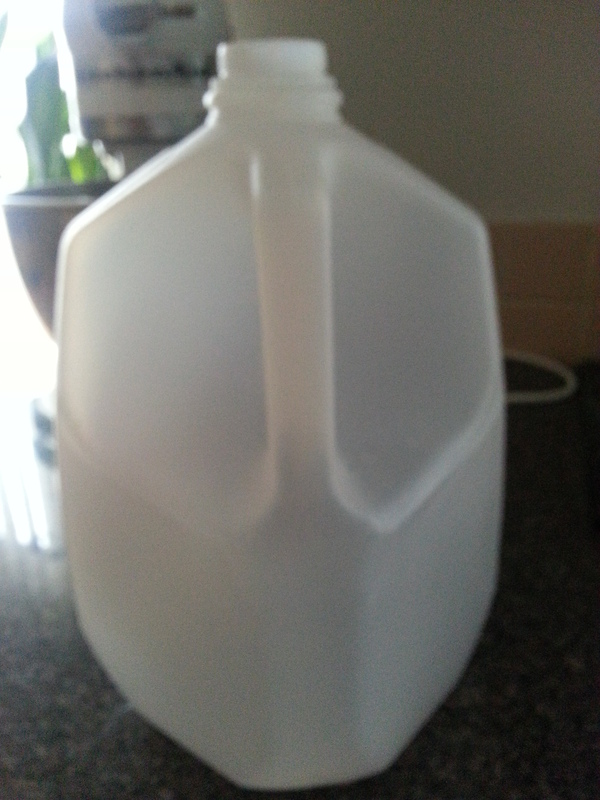 I cut of the top part of a 2 litre milk jug and wash it. When inverted, this make an easy funnel. You can even use it to fill small bottle. Just make sure that the mouth size of the bottle is the same size or bigger that your milk jug.